#1. The best bodybuilding routine is one your body is NOT accustomed to. The body adjusts to any bodybuilding training program over time. The older a person is, the faster it adapts. 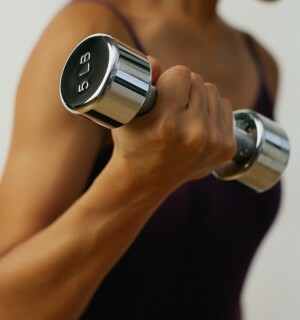 Thus, in order to obtain consistent results in terms of muscle building, you need to vary your workouts. The best way to create diversity in your workouts is to change the cycle of exercises, the number of repetitions, the rest periods between sets, etc. If these modifications are implemented correctly, you can obtain consistent improvements in terms of muscle mass. #2. Keep your workouts short. Although you may think that a marathon training session of 3 hours would be the best to attain more muscle mass, nothing could be further from the truth. After 45 minutes your testosterone levels begin to decline as your cortisol levels begin to rise. Why is this bad? Because in actuality, testosterone builds muscle and burns fat whereas cortisol destroys muscles and stores fat. Therefore, a situation where your cortisol increases and your testosterone decreases will give you the opposite effect of what you are trying to accomplish. For years there has been an ongoing debate about the best training style; numerous repetitions versus high intensity. In reality, a combination of the two training models provides the best results. For the most dynamic muscle gains you should alternate periods of high volume with those of high intensity. High volume (repetitions) training pushes your body to the limit and forces it to adapt by hypertrophy (i.e. increase of the muscle cell by an increase of intracellular nutrients) allowing increased strength and muscle development. Believe it or not, varying the rest periods between sets is another way you can encourage your body to adapt. If you have been resting 2-3 minutes between sets, then change to just 1 minute of rest. Initially your resistance levels may suffer, but ultimately you will see new muscle growth from this variation. Your body is designed to operate in a universe of three dimensions. Thus if you only use machines for your training there are several stabilizing muscles that will never be activated because the machine stabilizes the weight for you. This results in a lack of growth because not all your muscles are being utilized. While I do believe in regular cardiovascular exercise, those of you who are looking to gain muscle concentration should reduce your cardio to 3-4 sessions of 20-30 minutes per week. This can consist of activities such as the recumbent bike, walking, or using the elliptical machine and keeping your heart rate between 130-150. As obvious as this statement sounds, how many people actually do it! Remember, this is bodybuilding and therefore you need to focus on the perfect execution of the exercises so that your muscles (not your tendons or joints) are those that do the work. Also remember that because muscle stimulation is the name of the game you need to contract as you move the muscle weight. Merely moving the weight from A to B is not good enough. Although you will not be able to use as much weight if you do this, I promise you that the results are worth it. This is an area that is rarely covered in articles pertaining to training. To achieve the best results, it is necessary to adapt your workout frequency based on your body type. Thus, an endomorphic person (having a slower metabolism) may workout 5 – 6 times a week whereas a naturally skinny person with a high metabolism (termed a hardgainer) is best served with 3 – 4 sessions per week. Again, this is one of those “secrets” that is really obvious, but one that isn’t often taken into account. Although some programs may seem really good on paper, if you cannot stick to it because of other time commitments such as family, work, etc., then you must choose a different routine. If you know that all you can do is 3-4 weight sessions a week, then follow this training frequency. There is no sense in trying to follow a program that requires 5-6 days a week if you always end up missing 1-2 sessions. At the end of the day, this will only lead to frustration and disappointing results. So make sure you choose a program that you can stick to because consistency is the key to muscle gains! Maintaining a training log is a great tool! Not only to record your workouts for accountability, planning and motivation, but it also allows you to see where you are and where you’ve been. Can you imagine the disappointment if for any reason your fitness level decline and you didn’t know how to get back on track? In addition, a training diary lets you easily see the path of your progress. Are you stronger? Are you reducing body fat? All these can be easily viewed when you keep a training diary.